DIRECTIONS: Take Hwy. 45 to Hwy 145. The entrance to Dretzka Park is on your right about a half mile up the road. May 22nd Bruisers vs. Vernon @ Brookfield Central Turf. 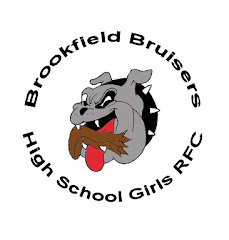 This is the official blog of the Brookfield Bruisers Girls Rugby Football Club. Find out all the latest news and information about our club. The club is open to players in grades 9-12 in the Brookfield, WI area, regardless of school affiliation or residency. If you are interested in joining, contact the club through coach Benny at brendan.mccann@mu.edu. No experience necessary. Current players can click here to get to our Google-Group home-page where we post registration paper-work and other information.